Tin Pei Ling wrote on PAP facebook page: "Cost of living is rising. Impact of this has been reinforced several times by residents during block visits these few weeks. It’s been tough on the elderly & low income families. The pain is felt day to day when buying food & other daily necessities. Hope measures in Budget 2011 will help cope with this pressure." Eng-Joo Gay: Hoping will get you nowhere. You need to define and execute concrete plans for these people. George Wong: You can't go wrong for championing the elderly and low income families but my credit will be reserved for any MP or potential MP who start pushing to convert a few of the golf courses into open space for the public to fly kite, running their dogs etc etc., The rich cannot have exclusive use of so much of land, is sinful that so much land is used for hitting a little golf ball instead of allowing the public to have access to do 10 over different sports or enjoyment at the same time. Scare to touch the nerve of your ministers or what? If so better remain championing the elderly & low income families. Ben Chen: Well said, but any concrete proposals? If not I will call this airy-fairy talk like some opposition members. Benj Chung: Not a bad deal. For 15K a month you get someone who hope for you. For the amount the ex-foreign talent goes to the hawker center to praise the hawker for keeping the price tag. Butter it 2 ways of the simple DD and SS economics. That's the reason we all prefer foreign talent. Gerald Heng: ‎'Impact of this has been reinforced...'? Brilliant! Anthony Chia: What took you so long to find out .. especially during election time. Isnt this is what PAP said about opposition ? Clement Lin: Oh Sarah Pei-Ling! Json Lim: Honestly why would a government says hope that the budget works? Hoping is for civilians and commoners like the rest of us. Having all the brains of Singapore work out the budget and hope that it actually works leave a bitter taste in my mouth. Oh well, bad publicity is better than no publicity. Or it isn't? Ivan Sean: Hor you know what, Obama sold the message of hope cos he's got charisma... you got what huh? & it took you a walk around the estate & that much 'reinforcement' of the message for you to find out? jeez. Andrew Tan: We have more and more unhappy citizens, let hope the government can be more empathy to the middle and lower class. Inflation are making us worse every year. Disposable income drops year after year. Clarence Ho: When you made a bad impression, don't try to cover it up by trying to sound like what others said you should've. Francis Lim: How about redirecting part of the sky high ministers' salary to help them? Json Lim: And no I don't like muddy water, give me ice Milo any day. Catherine Lim: TPL such tweets don 't help. Not interested in your feelings or hope. But this is my hope for all candidate - you will be better served and serve the people better if you articulate your ideas and and what action you can take - concrete ideas. No more I will do my best stuff ok? Suzie Quah: TPL, "Hope measures in Budget 2011 will help cope with this pressure." Okie dokie ! Hope you will not be elected in this coming GE too. Melsy Robinson Smith: Pardon me... U mean this is the result of her being involved in grassroots for many years? Ok..... Does she only realise the huge issue like, now? U don't hope for budget measures to work.. U need to think of practical solutions! Oh my... Now I really know her better..
A disgruntled grassroots leader from Marine Parade has voiced his unhappiness with the fielding of 27 year old Ms Tin Pei Ling in the GRC. In an email sent to TR, Mr Chan C H claimed that many PAP grassroots leaders are ‘puzzled’ by the party’s decision to field a newbie while bypassing more senior and qualified leaders. “Dr Ong Seh Hong is only 48 years old. I seriously don’t understand why he was ‘retired’ when he has at least 10 good years left to serve. No offence to Ms Tin, we have quite a number of professionals in our branches. One is a lawyer who runs his own law firm. I’m surprised he was not selected,” he quipped. Mr Chan added that the PAP grassroots was not consulted on the matter. Though he had seen Ms Tin around in the constituency, he felt she was still too ‘raw’ to be a MP. “Being a MP is not like playing masak-masak. I wonder whether she can connect with the working folks in MacPherson, many of them in the lower income group,” he added. The PAP grassroots should not be surprised at the decision of the party. It’s not the first time that an ‘outsider’ is parachuted from outside to become a MP. With even PAP members and supporters feeling sore over Ms Tin’s candidacy, the growing background ‘noise’ may well develop into a political tsunami for the PAP in the coming election. The PAP has just unveiled their youngest woman candidate, Ms Tin Pei Ling. She is only 27 years old and a senior associate at the Ernst & Young Advisory. It was reported in the Straits Times that she wants to create more opportunities to help the less privileged children by offering to take them to pre-schools when their parents are out of the house working to make ends meet. Ms Tin also rebutted a suggestion that she got into politics through the back door because her husband, 40 year-old Ng How Yue is the Principal Private Secretary to Prime Minister Lee Hsien Loong. Since her public appearance, the Net has been rife with stories about her. Some netizens were able to retrieve photos of her from the Net. 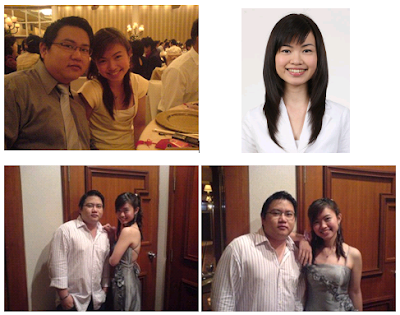 One netizen forwarded these photos and attached a few questions requesting Temasek Review (TR) to published them, suggesting that the man in the photo may be her ex-boyfriend. TR was unable to ascertain the identity of this man and his relationship to Ms Tin at this point in time but it appeared that they were close. Assuming that this person is indeed Ms Tin’s ex-boyfriend, it’s obvious then that Ms Tin did not marry him but married the PM’s Principal Private Secretary, Mr Ng, instead. The same Netizen who forwarded the photos raised this question: ”Did Ms Tin break off with her ex-boyfriend long before she met Ng, or did she decide to dump her ex-boyfriend after meeting Ng? If so, what was the reason for dumping her ex-boyfriend to go with Ng, PM’s Principal Private Secretary and marrying him who is 13 years her senior? kate spade is known the world over for their bold and stylish designer clothing, designer shoes, women fashion accessories and more. She was reported to dine in expensive fine-dining Japanese restaurant, Takumi, at the Marina in Keppel Bay. With Ms Tin now a public figure and a possible Member of Parliament, the same reader who forwarded the photos is of the opinion that the public has every right to know about her past, present and future. Who is the man in the first three photos at the top? Is he really Ms Tin’s ex-boyfriend? If so, under what circumstances did Ms Tin split with him? 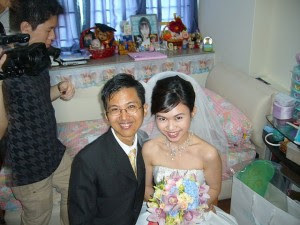 Why did Ms Tin choose to marry Mr Ng, the Principal Private Secretary of PM Lee instead? Was not her ex-boyfriend good enough for her? Beauties and Brains - Do we need foreign talents? SINGAPOREAN EARNING LESS THAN 12 YEARS AGO ! Who is Really Raiding the Reserves?